This week, Shadz sponsored a blog meme for the BC Bloggers. All I have to do is share a photo (or photos) and let readers write a story about the photo (or photos). I work from home and this is what my desk look like. Then… good thing my desk is always cluttered~ Hehehe. Is that Moby? Haha… I can’t really work with too much things around. 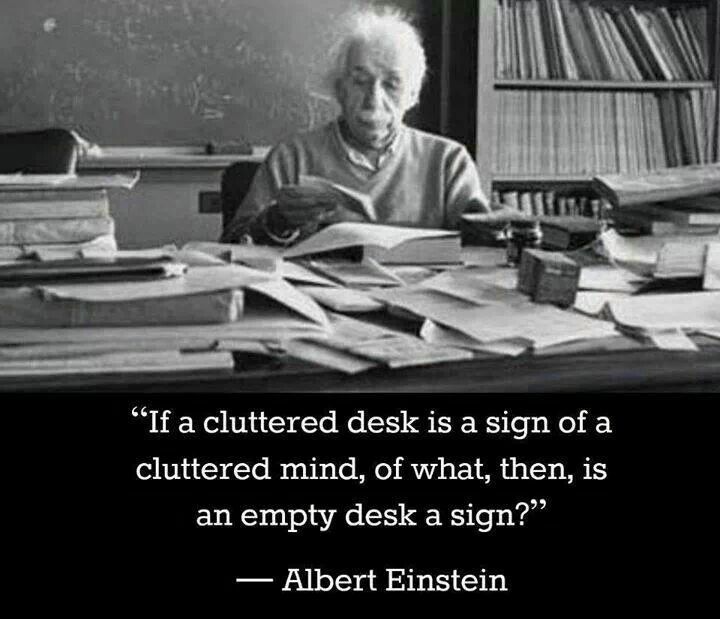 But like what Einstein said, better be cluttered than empty. Nice one! Yes, it’s Moby. It was too sweet for my taste buds. I still like my salty chichiria. Mine is empty. My computer… that’s a different story. i can relate, my desk is also a mess haha! hehehe… cubicle ko sa office puno ng kalat. Hmm lalo na cguro pagbalik ko nxt month wala na ako maupo-an sa dami ng papeles. Dito naman sa bahay, meron batang makulit taga-kalat at ginagawang upuan ang cpu. lol.. I work at home too, and my desk does look like that! 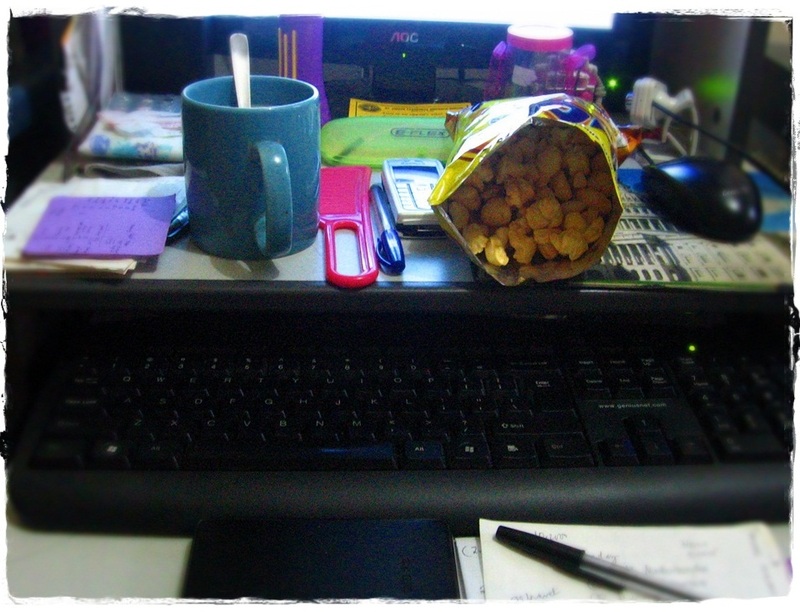 Coffee, snacks, pens and paper.. Hahaha! You noticed my comb. I comb once or twice a day. HA! It is more like: She looks like Einstein! 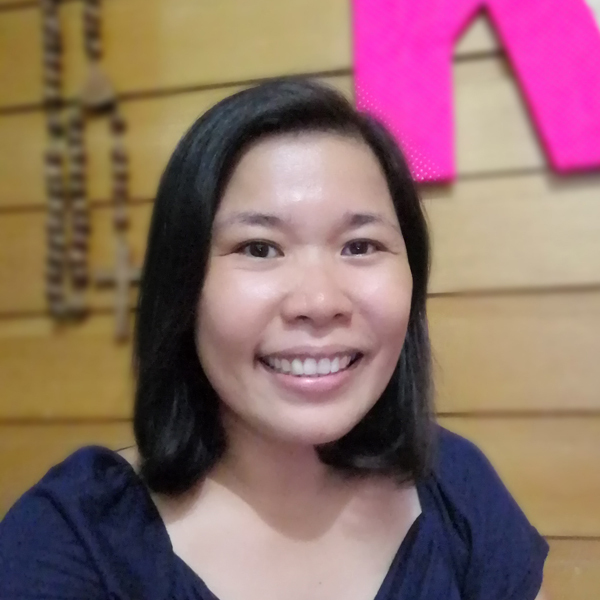 I do freelance writing offline and online. For online work, I started getting jobs from Odesk.com this year. wow, your desk is organized! if you’d see mine, you’d cringe at the clutter and mess! With the power shortage in Mindanao early this year and my experience with Sendong, I now make sure that flashlight is accessible. Oh, you were on a coffee break when you shot a photo of your desk. I think it was not totally cluttered. I saw your documents and sticky note organized. So maybe you just have lot’s of work there. Yaaaay! Thank God for all my clutters! Haha. And you really have a comb on your desk. Nice! Messy table means creative brain.. heheh that’s my excuse of putting off organizing my stuffs. Thanks! I am already enjoying the weekend. Makalat, sis but don’t worry pareho lang tayo. haha! No matter what I do I can’t keep my table clean and organized. I love your Moby snack. Makabili nga mamaya. I’m not judging you because my home office is just as cluttered. Minus the food that is. We try to not to eat around the PC for it’s fairly new. Who knows, we’ll be snacking in front of it next month for sure!